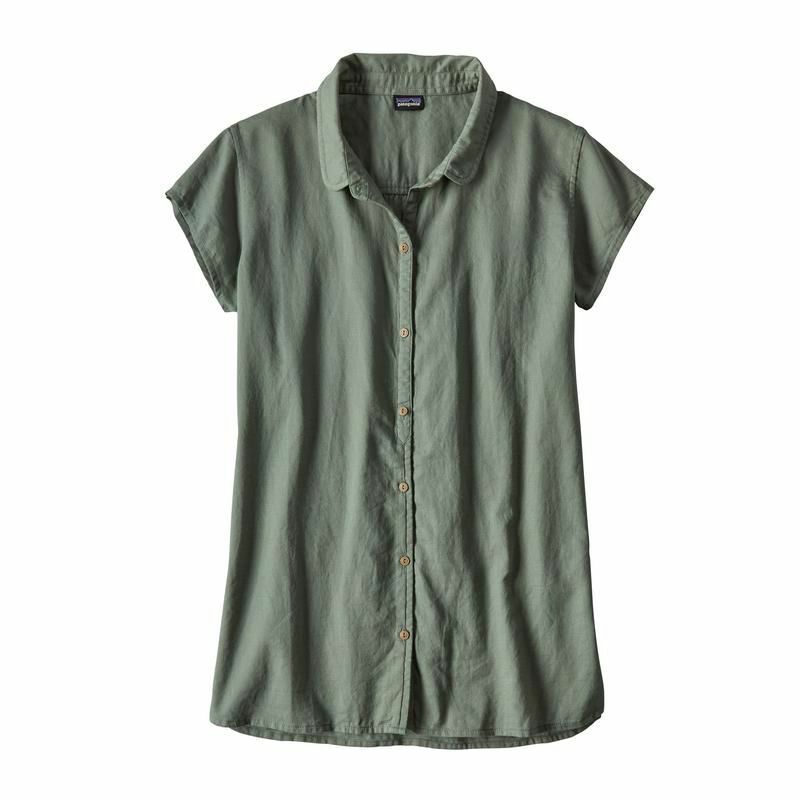 Made with a blend of ultralightweight 95% organic cotton/5% hemp for hot and humid conditions, this crepe woven shirt has a slightly raised texture to keep fabric lifted from skin. The top for when it’s just too darn hot. With a slightly raised texture that floats the fabric away from the skin, the Lightweight A/C® Top (95% organic cotton/5% hemp) creates a breeze even when there isn’t one. 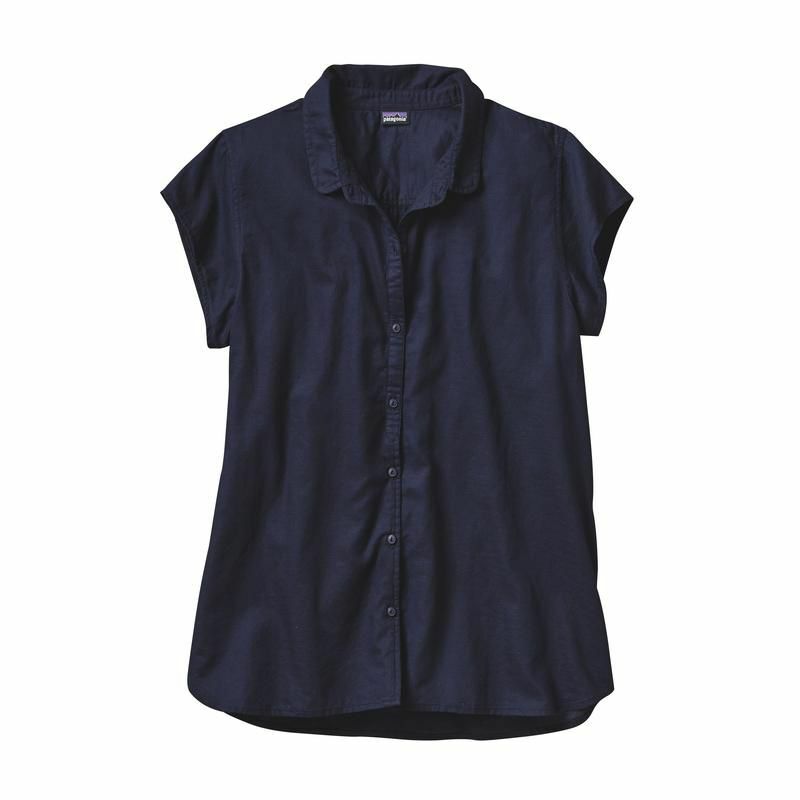 The top combines a feminine contoured shape with a free and breezy fit. The delicate Peter Pan–style collar follows the curve of the neckline and petite faux horn buttons close the center-front placket. Cap sleeves. Hip length.